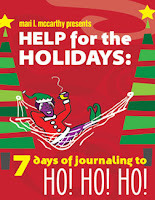 I find 'help for the holidays-' quite useful after reading the review.I now know how and what to write no matter my mood. Thank you for the marvelous review, Angela. I'm doing the HHH class myself and the insights and AHAs keep coming. I's helped me remember the importance of breathing. :) WriteON! 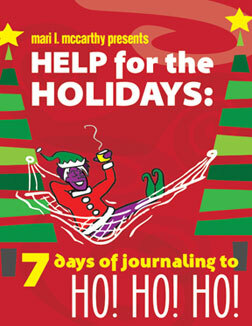 Just a glimpse of the book and it looks like such a winner for the holidays, a real helper! I'm following along with Mari's forum and so far loving it. I have made a holiday to do list - and for the first time ever - a holiday 'FuN Do' list. I'm really taking time to examine feelings and reactions and make things more enjoyable. Love this ebook!